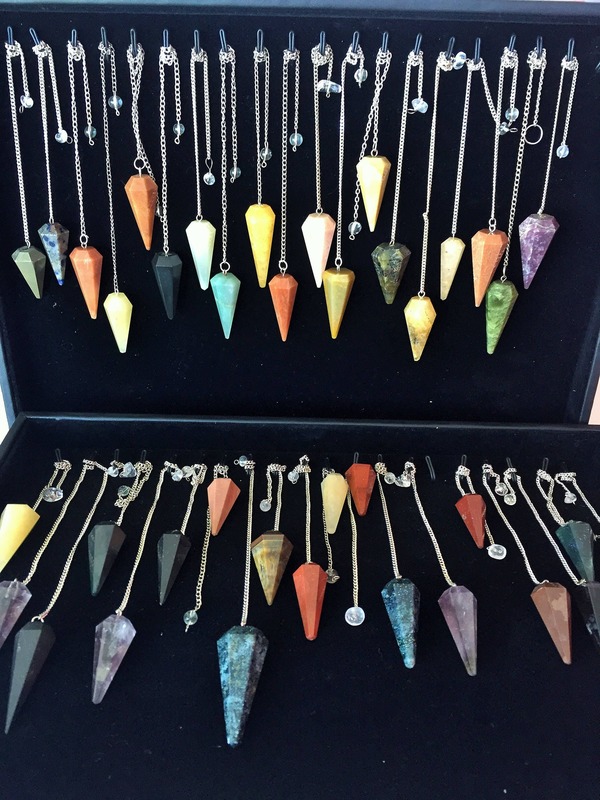 Surprise yourself with a Crystal Pendulum! Just pay for shipping and handling fees. *Limited Quantity Available! To qualify for this offer order must be placed within 60 minutes of your previous order. Every pendulum is one of a kind- just like in the pictures. 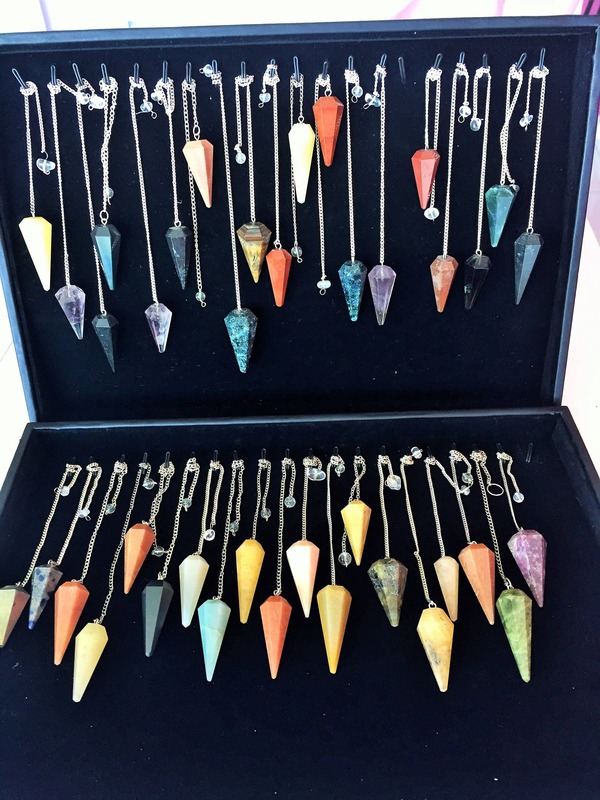 We carry a large variety of gemstone pendulums including but not limited to: Tourmaline, Green Aventurine, Yellow Aventurine, Unakite, Sunstone, Red Jasper, Crackle Quartz, Green Agate, Orange Carnelian, Marble Agate, and many more!! 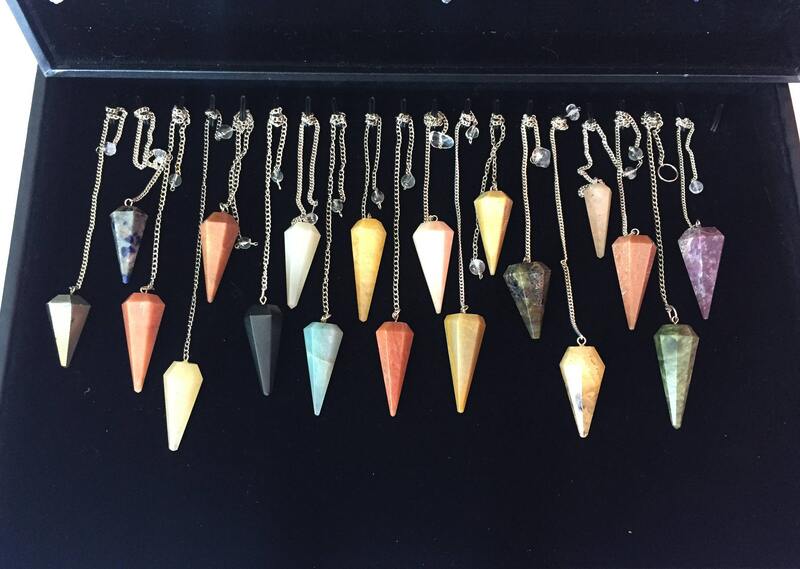 This listing includes ONE (1) surprise pendulum. Approx. 1.5' inches in size. I have been wanting a pendulum for a little while now and I was so excited when I got it. It’s put together good and I loved the surprise aspect. Loved it!! Use it everyday!! Would have maybe loved an informational card included with the type of crystal/stone and it's properties but that doesn't affect the quality of the product, so still 5 stars!! Beautiful stones! 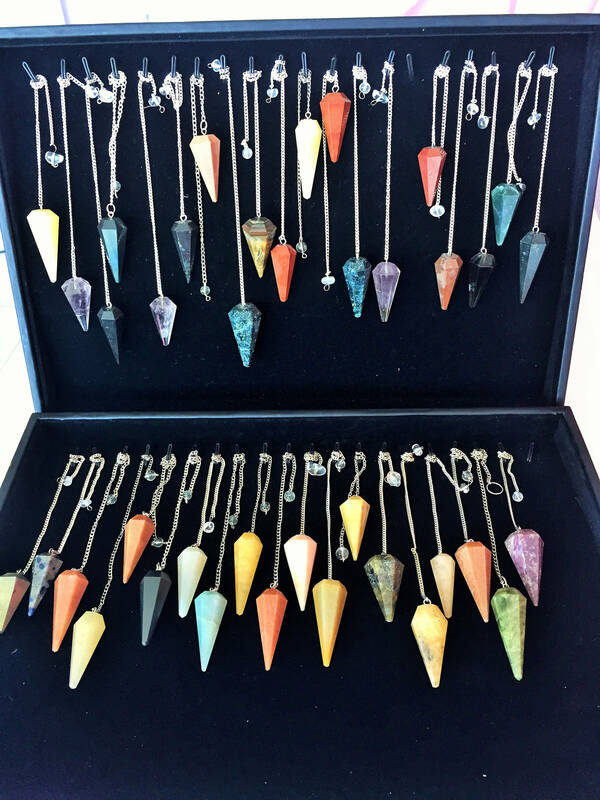 I've received sun stones, hematites, and amazonites from these mystery pendulums! Very fast shipping too!